Ericsson is focusing on its core business of mobile infrastructure and services, taking money from profits and investing in new areas that it believes its future lies—‘The networked society.’ “Mobile is the fastest moving technology in mankind’s history. There are 7.4 billion mobile subscriptions in the world—the most advanced shared technology that has ever been seen. No other technology has spread like this,” Vestberg adds. “The amount of data carried by mobile networks is increasing every year and the number of connected machine-to-machine devices, sensors and actuators, is expected to reach 50 billion by 2020.” In order to enable telecom operators capitalize on the mobile trends, Ericsson has successfully revamped their offerings to align with persistent telecommunication community’s demands. By introducing solutions like Licensed Assisted Access to their indoor smart cell portfolio, the company enables operators to improve app coverage indoors in any size or type of commercial building. Ericsson Mobile Telephony Evolution, with VoLTE (Voice over LTE) business solution, provides operators with a complete solution to evolve their voice business towards an all-IP communications network. Ericsson is now working towards extending the capabilities of 5G wireless access to enable connectivity for a wide range of new applications and use cases. 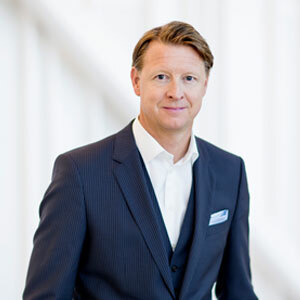 Though Vestberg believes that setting year 2020 as the deadline for 5G is still too early, Ericsson is spearheading 5G system development and collaborating with European Union for the standardization. “5G is going to be higher speeds and lower latency. The requirements from the industry are bold and we are working on them,” concludes Vestberg.